Highly efficient, clean running and cost effective 1.4 litre petrol engines give a realistic 45 plus mpg and 600 mile range. 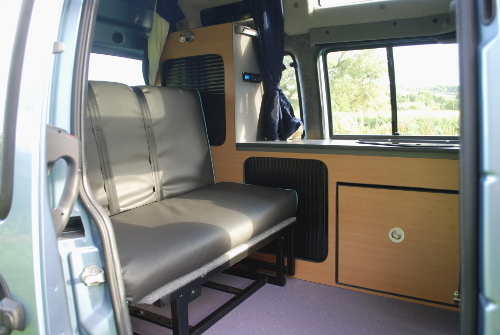 Combine this with the driving comfort and ease of use that only a car based design can offer and you can plan your trip without worrying about distances. 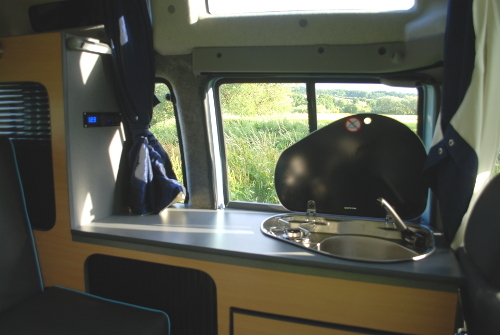 These newly fitted out camper conversions features a proper built interior conversion (unlike some of the others) which means you get built in cupboards for storage space, curtains, plumbed in water with sink and tap and a proper gas powered hob for cooking. 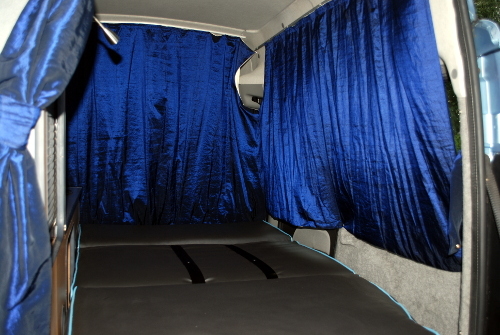 You also get 1.7m of headroom due to the high roof design and a proper bed so when it rains you can cook and sleep inside the vehicle, this isn't the case with some competitors. 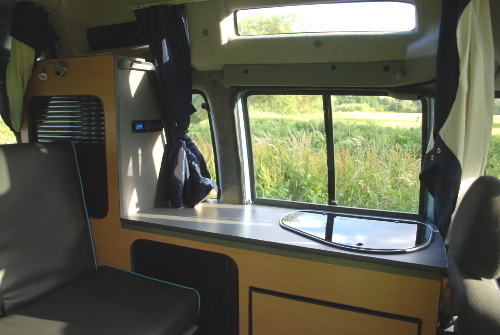 The second battery charges up automatically as you drive and operates the highly efficient built in LED lighting and other on board equipment for when you are parked up at night. A Waeco thermoelectric fridge which is powered from the vehicles second battery and keeps your food and drinks cool and fresh. 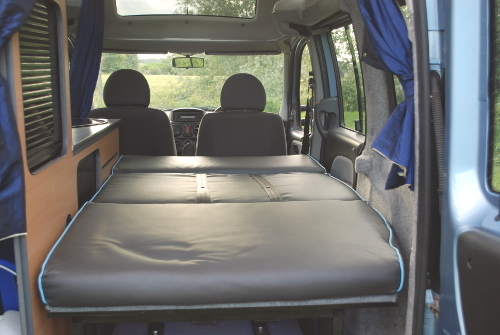 The specially designed fold out bed with 10 cm memory foam gives you 6” x 3” 4’ (186cm x 105cm) available sleeping space – cosy yes, but adequate for 2 adults. Total of 4 seat belts in the vehicle – all with 3 point lap/chest belts. Cutlery, crockery, glasses, mugs, knives, serving utensils, bottle opener, cork screw, bowls, jug, scissors etc. Dust pan and brush, matches, disposable BBQ, dish cleaning stuff, tea towel, torch, road map, fire extinguisher, first aid kit, AA Breakdown and Recovery. 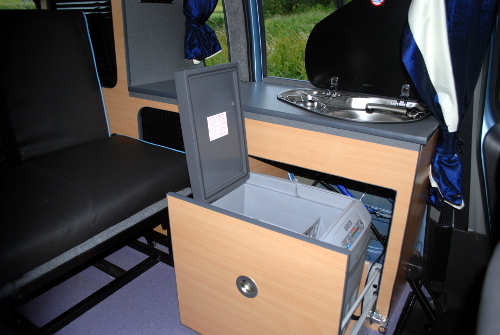 Basically everything you will need for a comfortable touring holiday. Once you have decided on your required dates please go to the 'Make a Booking' drop down and complete the the form and 'submit'. If you have any questions you can contact us via phone, email or our message box. On receiving the completed Booking Form (and assuming that all the information is complete and compliant with the insurers and our Terms we will send you an invoice for 25% of the total hire. 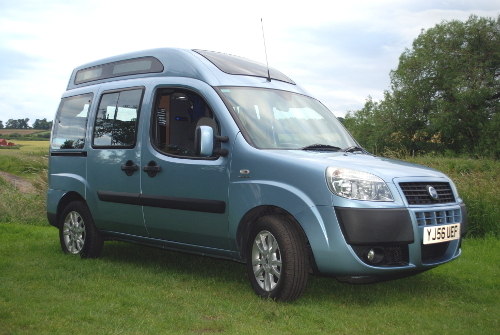 On payment your van will be reserved and the dates removed from the availability calendar. 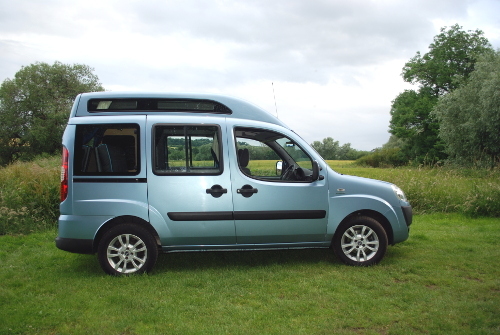 We will also send you an electronic version of our Contract of Hire which contains the full terms of the hire. You should read this contract and make yourself familiar with it’s contents. Before the period of hire commences you will be required to sign the contract. We will require the balance of payment for the full hire at least six weeks prior to commencement of hire or as soon as is reasonably practical if the period of hire is within six weeks.